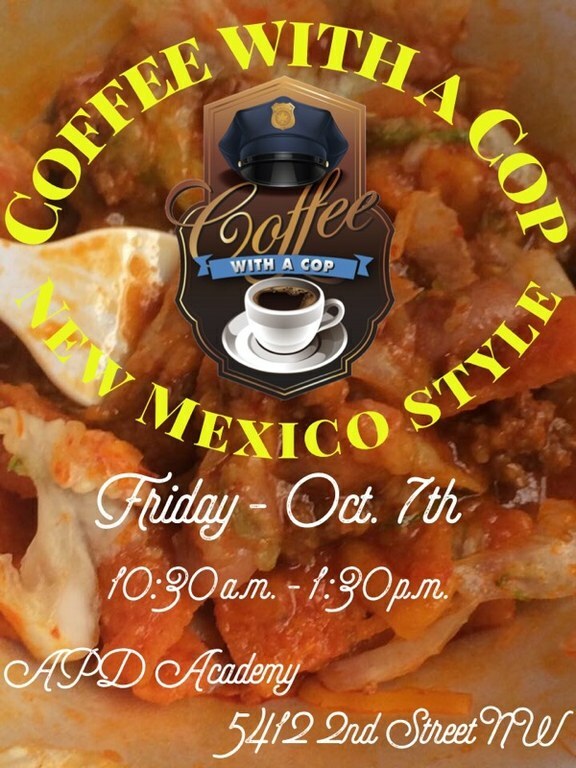 Friday October 7th is the first ever National Coffee with a Cop day and the Albuquerque Police Department is putting its own special twist on this event. 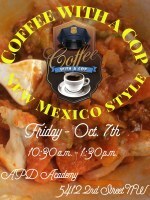 APD invites the public to come have a cup of coffee and a Frito pie with its police officers. As we know Frito pies are a New Mexico staple, and APD Officer Vicente Martinez and his family make some of the best chile in town. They’ll be handing out Frito pies in exchange for any and all cash donations. All the money raised will go towards the department’s annual Cops for Kids event. Cops for Kids takes place every December and ensures less fortunate children in our community have clothes, food, and a little fun and during the holiday season. Last year the department sponsored 100 children. The goal is to raise $4,000 to help make this year’s event a success. If you can’t donate, that’s okay, everyone is welcome to share some food and fellowship and get to know some of your Albuquerque Police Officers.